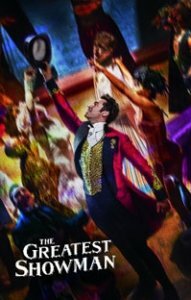 THE GREATEST SHOWMAN is an original musical inspired by the life of P.T. Barnum, starring Hugh Jackman. Barnum was a visionary who rose from nothing to create the "Greatest Show on Earth," a spectacle and celebration of his larger-than-life imagination that captivated audiences around the globe. Also starring Michelle Williams, Zac Efron and Zendaya.